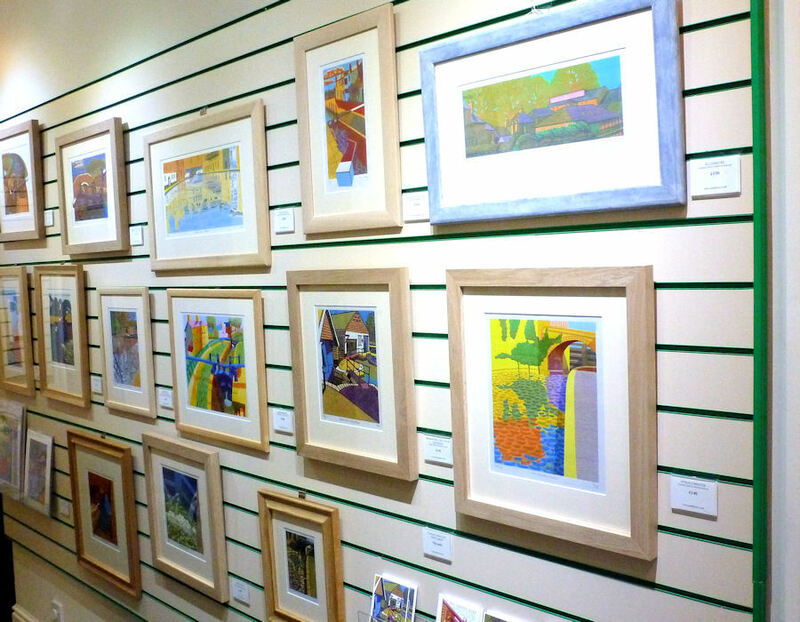 Renowned artist Eric Gaskell exhibits his uniquely crafted collection of canal scene linocuts at the Cotswold Canals Trust Visitor Centre, Wallbridge Lock from Monday 11th August until Sunday 21st September. Eric Gaskell was born in Wigan, in 1957 and studied painting and printmaking at Wigan College and Sunderland University. He left art college in 1980 winning two painting scholarships, one to New York and one to Istanbul, as well as the Sunderland Fine Art prize. Eric explains, “I was brought up near canals swimming and fishing in them as a child, and watching the coal barges chug past. I wanted to produce a series of works from all over the canal system, but in a different light to the traditional canal drawing or painting. “I believe the graphic nature of the varying elements that make up the canal environments best suits a simple, bold linoprint style. "The textures and patterns of the pathways, trees and lock gates, the swirling waters as the locks empty, the calm as they wait to be used, and the buildings and bridges that give our canals a backdrop. All these elements twist and blend to create simple yet striking prints. The framed prints on view can be purchased off the wall. If you prefer to choose a frame to suit your own décor then unframed prints are also available. A selection of post cards is also available. Also on display is a fascinating description of the complex process of the multiple drawings and carving required well before the final colour printing process. Each linoprint is hand cut, hand printed, numbered and signed, by Eric. Canal enthusiasts will recognise the many scenes in the exhibition. Click here or on the icon below to learn more about Eric Gaskell and his work.